Alyssum is a small, fast growing, annual plant that, when blooms, is covered in clusters of dainty flowers. 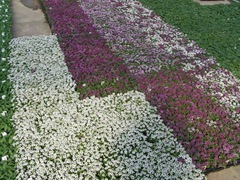 Alyssum blooms are very fragrant and attract butterflies and bees. 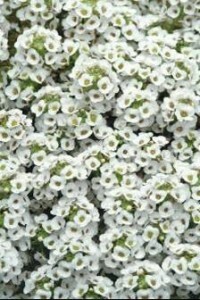 In the south, Alyssum grows well in the early spring but when the heat and humidity kick in, the plants struggle and eventually die. You can plant again in the fall when the temperatures cool off. In the north, Alyssum does well all summer long. You can see them in window boxes, flower bed and as accents in planters. Recommended Spacing: Plant 6″ to 10″ apart. 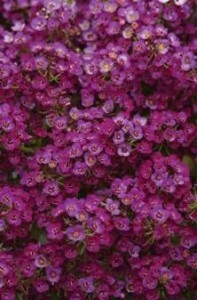 Outstanding Features: Alyssum grows well alongside pansies and has fragrant blooms that attract butterflies. Tips: Keep evenly moist, but not waterlogged.